Want to build responsibly, reduce waste, and help preserve the environment? 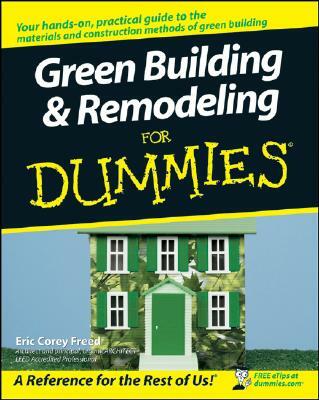 Green Building & Remodeling For Dummies is your friendly, step-by-step guide to every facet of this Earth-friendly method of construction. Building a home--even a green home--uses plenty of resources and energy. This practical, hands-on book shows you how to build or remodel conscientiously, whether your dream home is a simple remodel or a brand-new multimillion-dollar mansion. Complete with lists of ten green things to do on every project and ten things you can do right now in your home in order to go green, Green Building & Remodeling For Dummies is your one-stop guide to planning and building the home you've always wanted. Eric Corey Freed teaches sustainable design at the Academy of Art University and the University of Claifornia, Berkeley. He sits on the board of numerous environmentally focused nonprofits and museums.